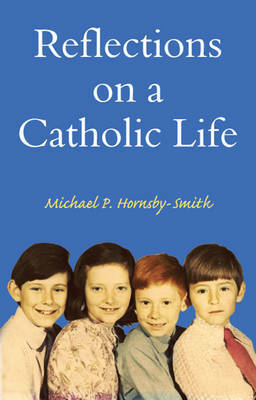 In this book Michael P. Hornsby-Smith reflects on nearly eight decades as a Roman Catholic. This has been a period of great turmoil from the depression years in pre-war England, through childhood years and the Second World War in Scotland, post-war social and religious changes, to the fears of global climate change and financial meltdown at the end of the first decade in the twenty-first century. The author traces his Catholicism from his Irish ancestors and reflects on his wartime years during the blitz in Glasgow and subsequently without both parents away in the services. He describes his Catholic education at five schools in Scotland and London and his seven years at Sheffield University where his membership of the Catholic Padley Society and of the Union of Catholic Students were crucial for his formation as a committed Catholic layman. Five chapters review different aspects of the life of the layman juggling the often conflicting demands of marriage and family life, earning a living, participation in politics and civil society organisations, seeking justice and peace and participation in parish life. A final chapter reflects on the purpose of our lives, from birth 'there' to death eternity, affirms the lay vocation and concludes with a plea to those of his grandchildren's generation to celebrate the Good News of our salvation and commit themselves to follow Jesus to seek to bring closer the Kingdom of God 'on earth as in heaven'. Michael P. Hornsby-Smith is Emeritus Professor of Sociology at the University of Surrey. He is the author, co-author or editor of nine books mainly dealing with the social and religious transformations of English Catholicism since the Second World War and the Second Vatican Council. He has held senior positions in the International Society for the Sociology of Religion and has been active in numerous Catholic organisations. This book is addressed in particular to those of his six grandchildren's generation. It also celebrates his golden wedding anniversary with his wife, Lennie.